Customisation of your system is intuitive and easy, so modify your adjustments as often as you like. 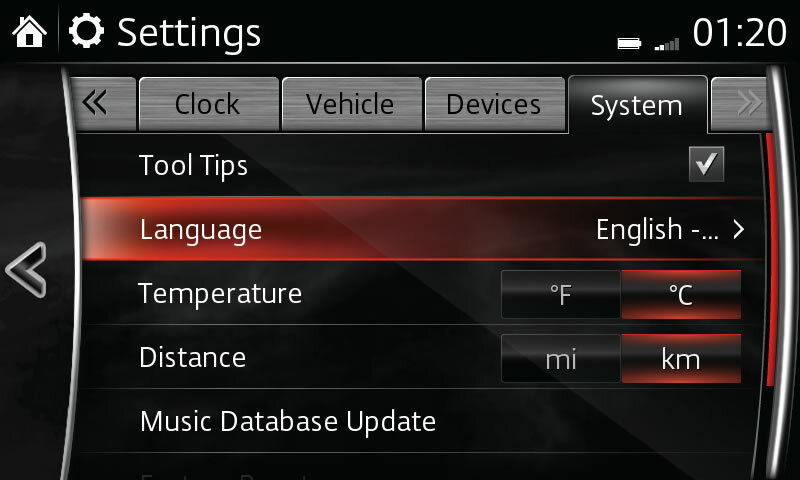 For an optimal listening experience, you can customise the sound in your vehicle. Turn the volume dial clockwise to increase volume, turn anticlockwise to decrease volume. Press the volume dial to turn MUTE On or Off. 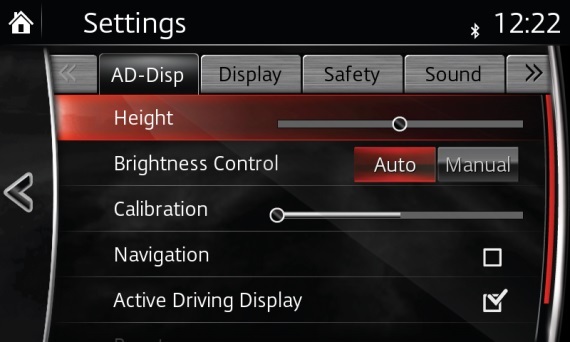 Adjust settings such as height to ensure the Active Driving Display is positioned correctly for each driver. Turn-by-turn navigation instructions can be shown on the Active Driving Display by ticking the navigation box. Select Turn Display Off to turn touch screen display Off. Touch screen display can be turned back on using the multimedia commander. 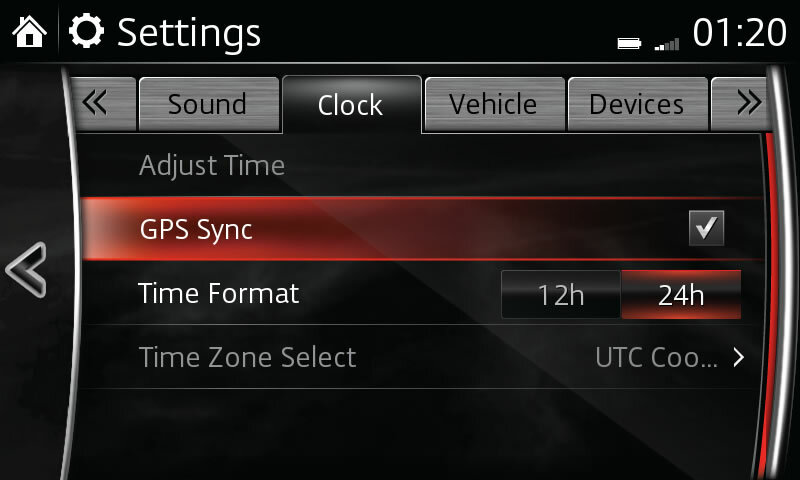 Select Mode to adjust touch screen display according to time of day. Select Reset to reset screen to original settings, press Yes to confirm. 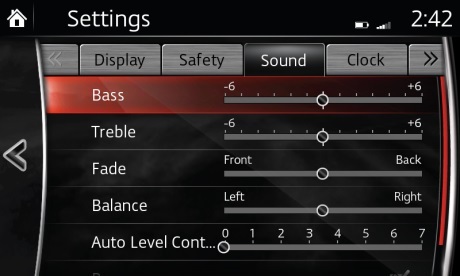 Select Bass, slide to enhance or reduce. Select Centerpoint (Bose® sound system) to turn automatic surround level adjust On or Off. Select AudioPilot (Bose® sound system) to turn On or Off. Select Beep to turn audio operation sound On or Off. To experience the best possible sound it is recommended to leave all settings in the central position and ensure Centerpoint® and AudioPilot® are activated on Bose® sound systems. – You may refer to your owner’s manual for additional details regarding customised settings. – The availability of these services may vary, depending on your market. Convenience and safety are enhanced when your system is configured to your preferences. Features may not be available on all models. Select Smart Brake Support (SBS) or Smart City Brake Support (SCBS) ON or OFF by selecting the tick box. Select Rear Vehicle Monitoring Volume. Select Lane Departure Warning System. Select Rain Sensing Wiper On or Off by selecting the tick box. Select Factory Reset to reset system to original settings, press Yes to confirm. Using navigation is simple and convenient when you configure your system according to your individual preferences. Click here to customise the map view and other settings. Some features may not be available on all systems.